Well, kiddos, it's been one of THOSE Springs for ol' Rustipar. Started this entry back in February and only just now got around to finally finishing it up, and hopefully this will kickstart* me back in to more regular postery. 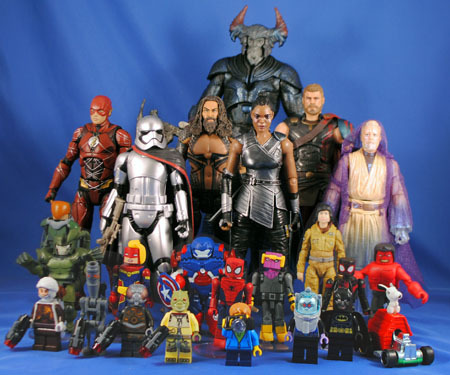 So let us dispense with the jibberjabbery, insert a quaint reminder that this was started and purchased back in a world that still had Toys R Us chugging along as normal, and dive in to a diverse selection of toy nonsense! 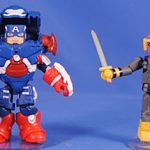 It REALLY feels like these are redos for the Animated Minimate universe, but sure enough they seem to be "first appearances." Maybe it's just that it doesn't seem so long since we got comic versions of these, and there is so little to differentiate these from those. I genuinely LOVED when this line started how the figures often included some two-tone shading effects to give them a more animated look and that would have been a nice touch here. Also, these do fall in to that familiar problem of "not enough color contrast" between the 'mates, so it's like buying a sea of red, kind of. Regardless, both are good figures and do the characters/costumes justice. 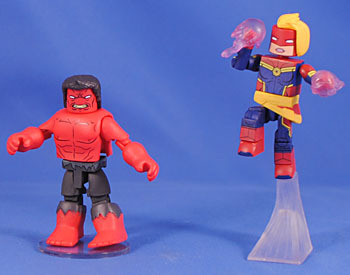 Red Hulk is fairly standard but Carol gets a flight stand and energy-punches, plus neat, new skirt and hair pieces. Despite my belly-aching this might be my favorite Captain Marvel Minimate yet. Never having seen the show this was a fantastic surprise and I hope that give us more characters in repainted Hulkbuster armor! 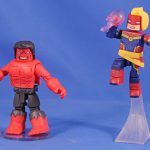 This completes the core trifecta of Avengers since Regular Hulkbuster, then we got Bruce Banner in a Hulk-colored, and oxymoronic, Hulk Buster Hulkbuster! The paint on Cap-'buster is pretty good and matches his costume quite well! 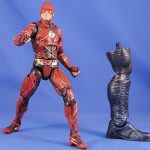 Unlike the previous two Hulkbusters, though, he doesn't come with the requisite alternate hands and feet to complete the out-of-armor version of the figure. I'm sure that I have some spare in one of the bins, but still. His torso is properly painted to Cap's costume and this figure does get an all new mecha-shield for him, which is also a cool touch. 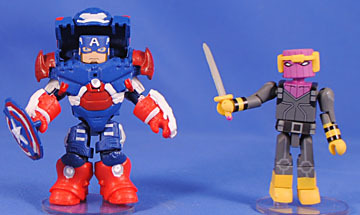 He comes with a sword-wielding Zemo, whom I utterly love! This such a good update on the character's costume, and I really gotta say the gray jumpsuit looks great and really helps his bright yellows and pinks pop! He's a great Minimate, and this is a super fun set! "ANOTHER plain Spider-man!?!?" bemoaned I. Then I noticed that in lieu of the Ultimate Spider-Man logo on the package was a more generic Spider-Man logo, so I can only assume that they've ended one cartoon and started a new one. On close inspection, this spider suit does look a bit different and a bit more like the Tom Holland suit, so that's neat. I suppose. 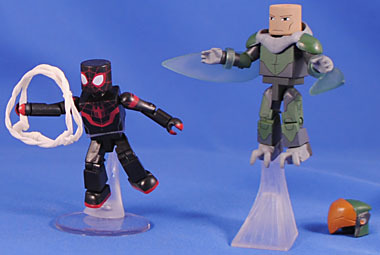 He comes with a one of the waist mounted hover bases and one of those useless web-lines that have been around since the first Spider-Man Minimate. 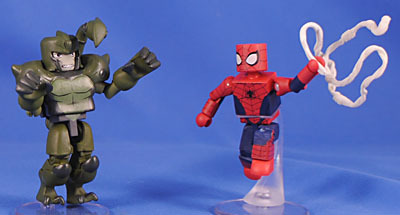 The real reason to get this set is the all-new Minimate villain, The Scorpion! He's big, bulky, green and not that very interesting of a design. Yay. I appreciate the bulk he has and that we haven't gotten an animated Scorpion yet, but man... that's an ugly costume. Same deal as above, I just assumed it was just "another" Miles Morales but between the new logo, new character name and slightly redesigned costume this can only be The Hot New Hip And Edgy take on the character. He comes with the same accessories as the titular Spider-Man above, and it's kind of a shame he doesn't get an alternate, unmasked head. He comes with the Hip New Edgy redesign of the Vulture, a personal favorite character, and boy is it an okay redesign. I dig him for the most part but have no love for his translucent wings or his goofy orange, beak-esque visor-ed helmet. Makes me wish we'd gotten the brighter colored Vulture from the last show, instead. Oh well. As a mega Mr. Freeze fan I couldn't pass up this Juniors set - but with such bland builds I sure took my sweet time. Batman is pleasantly not quite the Lego Movie/s version, but is close enough to not be that exciting. His Bat-Boat is surprisingly lame because the hull outer black hull and inner yellow hull are both single pieces. So, while they fit together snugly and, no doubt, allow for good floatability, the only actual building here is just decorating the thing. And then Freeze's dumb little boat is worse than a polybag. Across the board this is just an underwhelming, disappointing in fact, set. The only good thing is the Mr. 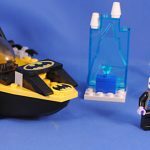 Freeze Minifig, which gets new printing on his torso and face. Rather than the bell-jar helmet from the movie set this one uses the "old" deep sea diving apparatus. This has an SRP of, like, $10-15 but even still the lack of bricks and effectively any building makes this a tough sell. I came across this set on sale so decided to pick it up. It's obviously a set you'd only get for the minifigures, and while I've never been a particularly big fan of any of these jokers it is nice to get them all in one fell swoop, plus the execution on each is really nice. All have really great, elaborate (for the scale) prints and are immediately recognizable. 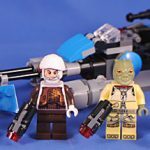 What is annoying though is that, other than IG-88, they only get "stud shooter" weapons rather than proper minifig guns. They come with an okay build of an uncompelling speeder bike which seats a single rider. All around this is just an odd set, but they know we're just after the minifigures anyway, so... . At least we're not really getting any repeat characters here. It just would have been nice is the build was more interesting... a 2-4 seat speeder or a couple mini-speeders so these guys could battle. I mean... why they hell WOULDN'T you buy this!? 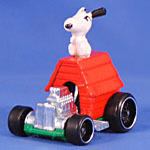 It has a very '80s vibe to it, with the doghouse BEING a car and having a chrome engine. Snoopy looks neat but has weak paint apps. All in all, though, a VERY novel $1 purchase for the ol' Hot Wheels collection. 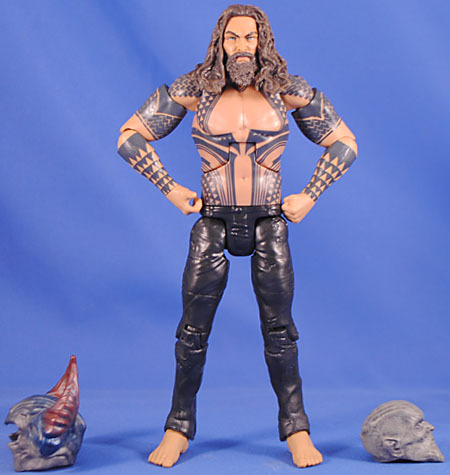 Weeeeellllllllll, s**t. Saw this Toys R Us exclusive on a week night and bought it telling myself "well ya love Aquaman (even if you don't love this movie version of him) and ya got the other figures..." The sculpt is good, still though putting this guy next to Hasbro's recent Namor and one can see the genuine gulf between the level of execution between the two companies. The paint lines of the tattoos are clean here and after comparing and contrasting a case worth of this figure this was best head paint I could find. He's a good figure for what he is. 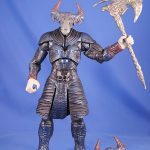 He comes with an alternate head for the Steppenwolf BAF that has a removable helmet. I don't recall Ol' Steppy ever taking off his helmet in the movie but this is still a nice "thought that counts" inclusion, and I quite appreciate that Mattel is using exclusives to put out bonus parts for their BAFs. 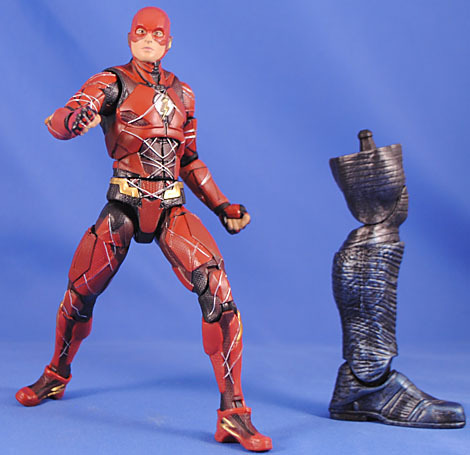 FINALLY tracked down a Flash to complete the set of Justice League movie figures. Of all the dumb, ugly designs in that movie this is by far the worst. Not just ugly but terribly illogical too! Conversely, it makes for the most dynamic of the figures thanks to the shades of red and strips of black and silver. I thought Ezra Miller and the character were both fine in the movie, but the movie was just so... "well it exists" for me to really get into it much at all. Just "relieved" to complete the collection (though I suppose I still need the Amazon exclusive Mera and the Walmart exclusive non-armored Batman [and who need the Sir-Not-Appearing-In-This-Film helmeted Cyborg anyway?]). A character that fits that BAF scale and wasn't horribly redesigned during post. I mean, it's not like this isn't a horrible design, but at least they stuck with it didn't screw the licensees like they did with Ares. The sculpt is okay, a bit soft like all Mattel figures and the articulation is equally fine. The paint is sort of bland, but what all could they do given the film's design for him. Such a shame that they're spoiling New Gods with this drivel. Found this recently at the Legoland Discovery Center outside of Chicago and man is it cool! 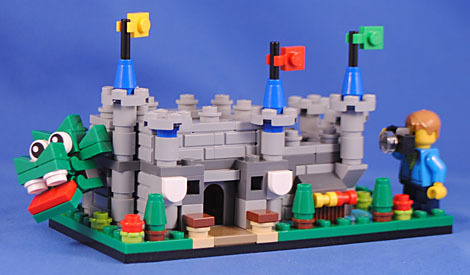 I've never been to a Legoland proper but I take it this is inspired by a castle at one (or some) of them. You know I love a good micro build so this was right up my alley! It's a great build and is actually a bit more complex, and thusly fun, than it appears. The tallest portion is actually open at the top and below is actually built with some brown pieces giving a wood structure vibe. It's an especially cool touch since you can't really see in there, so it's great that they "stayed true" rather than just shrug it off. I like the bits of moat around it and the dragon's head is neat, if definitely over-scaled. It's on a ball-and-socket joint in the wall and has hinged jaws so there is a bit of poseability to it, which is neat. 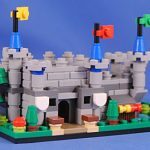 I just love micro-builds and this is unlike any they've really done before and they did a great job of mixing up the bricks so the gray never gets too boring and adding in plenty of splashed of color. If you can find this, I highly recommend it! 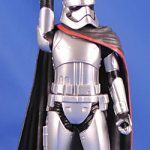 Saw this lady on markdown at Walgreens, and having heard good/fun things about this line of "cheap" Hasbros figures thought I'd use my Phasma Collection as an excuse to try it out. It's a good sculpt and pretty clean paint. Only 4 points of articulation though... shoulders, right wrist and head. And, of course, the scale is weird. It's a fine figure, but I don't really know what I do with this beyond putting it in a character-specific display or giving it to a young toddler. Bought this Walgreens exclusive because it was on sale, then was too tired to put up a fight when it rang up at full price. It's a novel idea but kind of a weird execution. I will say, though, the translucent-to-painted-opaque transitions and the overall pearlescent sheen do look/work better in person than in photos. 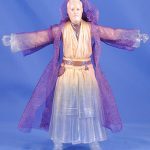 Despite feeling rather nonplussed about this purchase/release it does make me want a Ghost of Anakin & Ghost of Yoda two-pack now, too. I bought this just so that I could remember that there actually was a super articulated 4" release for The Last Jedi (this Walmart exclusive series also included an Executioner Stormtrooper, a Praetorian guard and a Jedi Master Luke). 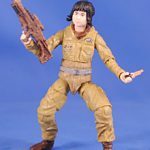 This is really not that necessary of a figure - the standard 5 point of articulation one is perfectly fine, and not remarkably different than this one, really - but, like I said, it was the only "super articulated" 4" figure I ever could find from TLJ and compulsively bought her just as a reminder/representative. And thanks to a spot of patience and the Marvel Legends two-packs being an unmoving plague on shelves I finally was able to pick this set up at Target for half off, thus completing my Thor: Ragnarok collection! 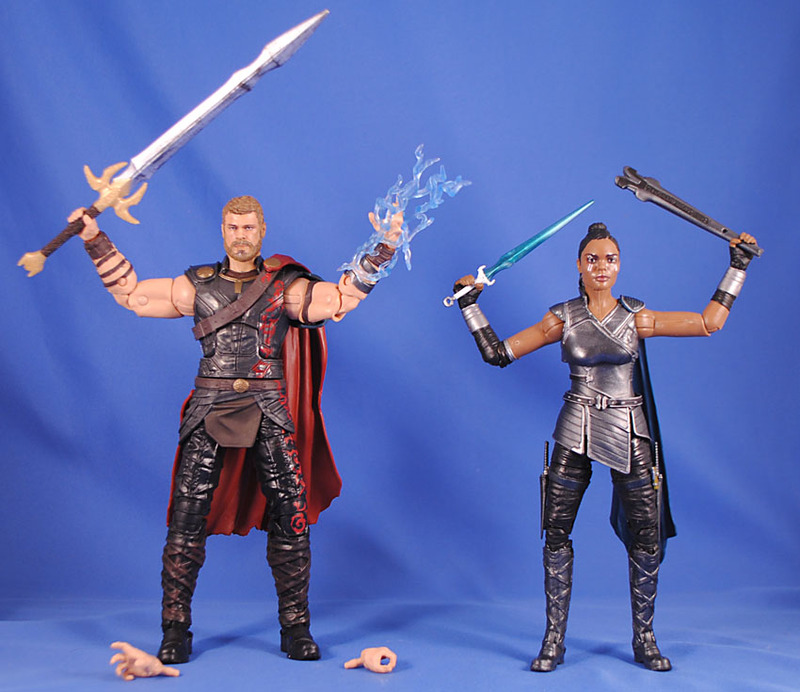 Thor is just you're ever-so-slightly "different enough" reissue of the carded figure, now with un-helmeted head. He gets two open grab-y hands and some removable "sparkles" (since he's not the god of hammers! ...for a couple months until Infinity War and he inexplicably back to being the god of hammers...), plus Heimdall's sword... BECAUSE! The only reason we're really getting this set is for Valkryie, who is quite a good figure, if a bit oversized. 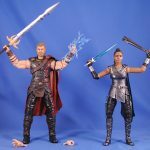 She comes with signature daggers sculpted/glued on to her thighs and her Asgardian sword, with a sheath that doesn't attach anywhere. Ultimately she's kind of a weird figure as it almost seems like Hasbro DIDN'T want to make a figure of her but where forced to and just sort of dragged their feet on it. At any rate, I'm all for more/new characters so I'm quite pleased to add her to the collection! 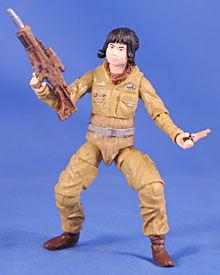 (I just wish she was about 10% "better" and not packed with a figure I neither need nor want). 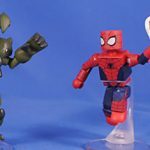 This entry was posted in Rustin's Spoils of the Week and tagged Batman, Captain America, Captain Marvel, Hot Wheels, Hulk, Justice League, Marvel Legends, Minimates, Spider-Man, Star Wars, Thor. Bookmark the permalink. 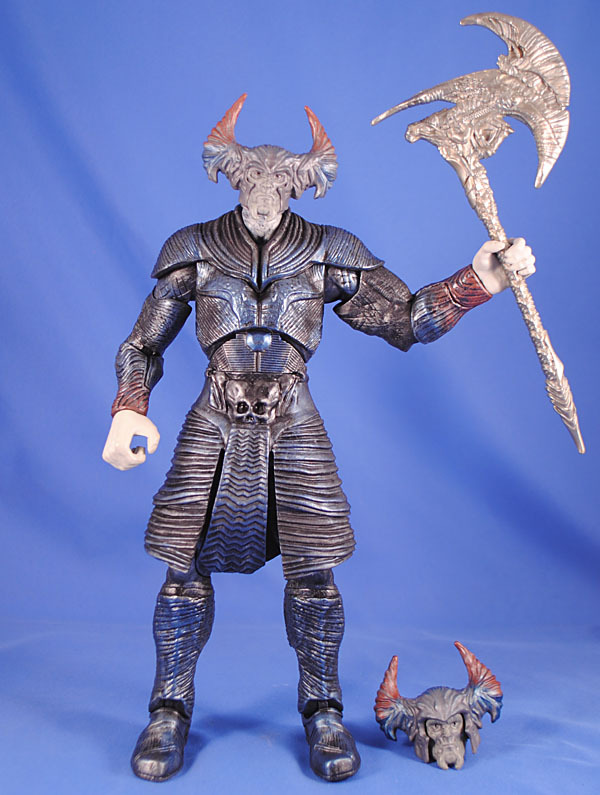 Did you know this was Steppenwolf's original design? 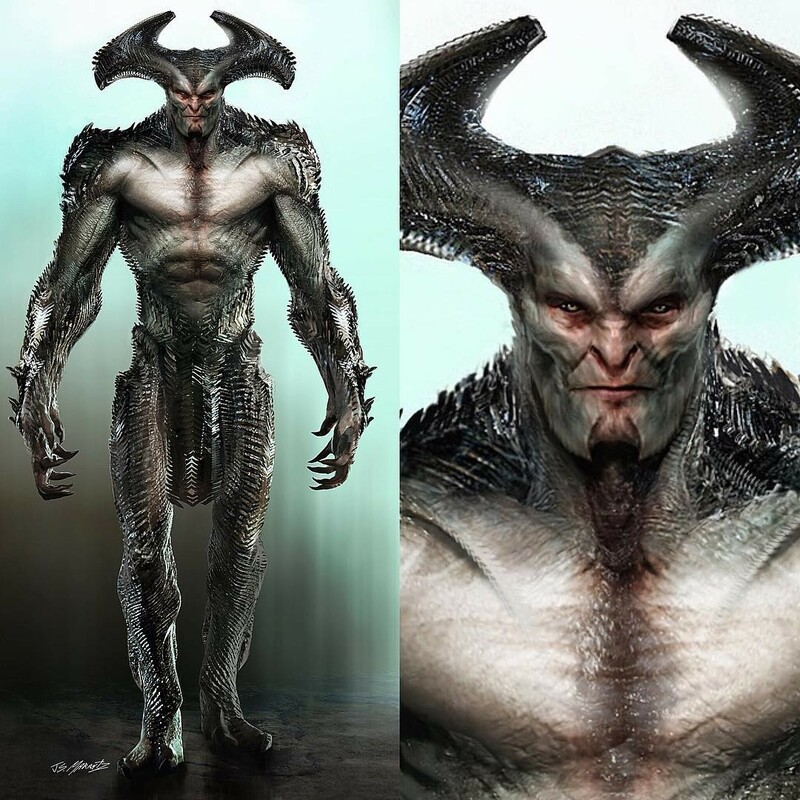 This design was used in the extended version of Batman vs Superman. But probably got changed when Zach Snyder left Justice League. I don't remember him having a face in BvS. 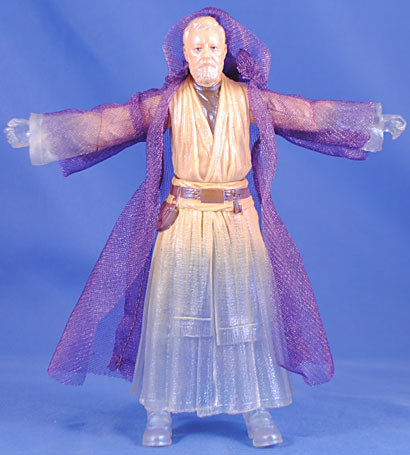 I had the same problem with Obi-Wan: they had a sale, they had the figure, but the figure wasn't on sale. I ended up putting him back, though. See that, everyone? Proof that we are not the same person! Hey guys I never saw any confirmation online that Kelly Marie Tran left social media because of harassment. So I guess you spoke with her and she told you what's up? Also, that's kind of a weird thing to bring up on a page that doesn't mention it at all? Someone PLEASE keep Patrick Tatopoulos from designing movies. The guy who designed "Battlefield Earth" should NOT be designing the Justice League.